Hello, my dear friends! Let’s start the week with a Middle Eastern flair! 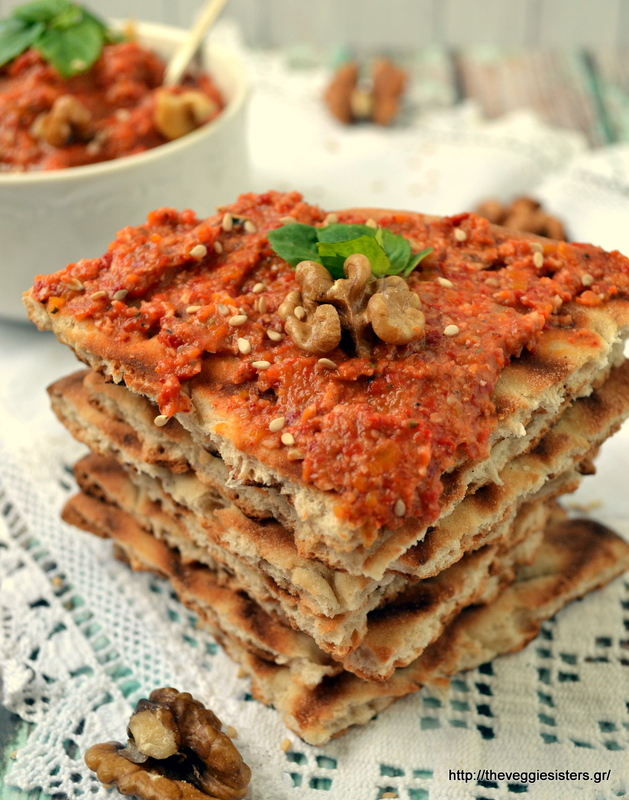 Today we are making a dip that comes from Syria and is absolutely mouthwatering! It is made with roasted peppers, walnuts, spices and pomegranate molasses (I used balsamic cream instead)). I used not only red peppers but also yellow, orange and green. Use what you have at hand. 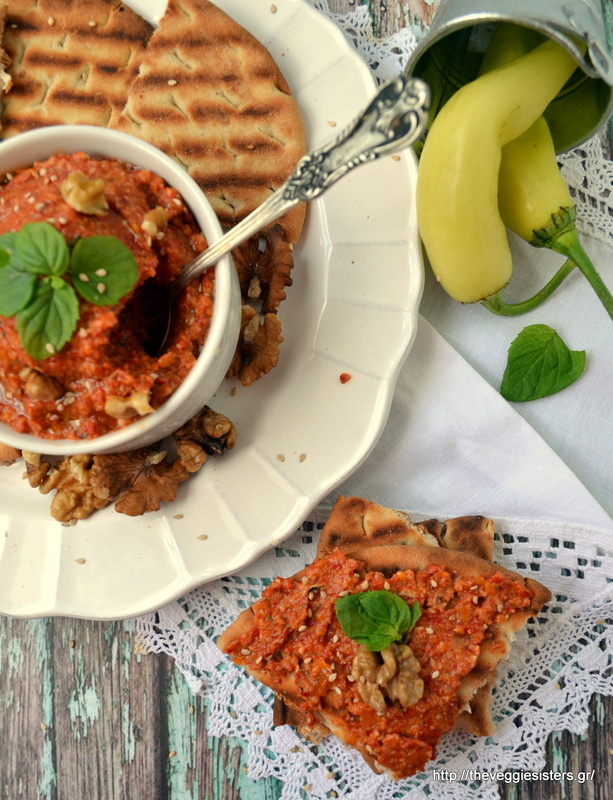 It keeps well in the fridge and is ideal spread on toasts, pitas and sandwitches. I have to go now! In a while our house is going to be in a total mess since we are going to demolish our fireplace! Happy new week everyone! Wash peppers, lay them on a baking sheet lined with parchment paper and bake them at180C until their skin puffs. Let cool and then remove skin and seeds. (their weight was halved after that!). Place them in a blender and pulse until smooth. Soak bread in water and squeeze it right away. Put it in the blender along with the rest of the ingredients and pulse until smooth. Transfer in a bowl, drizzle with oil and top with sesame seeds. Enjoy! 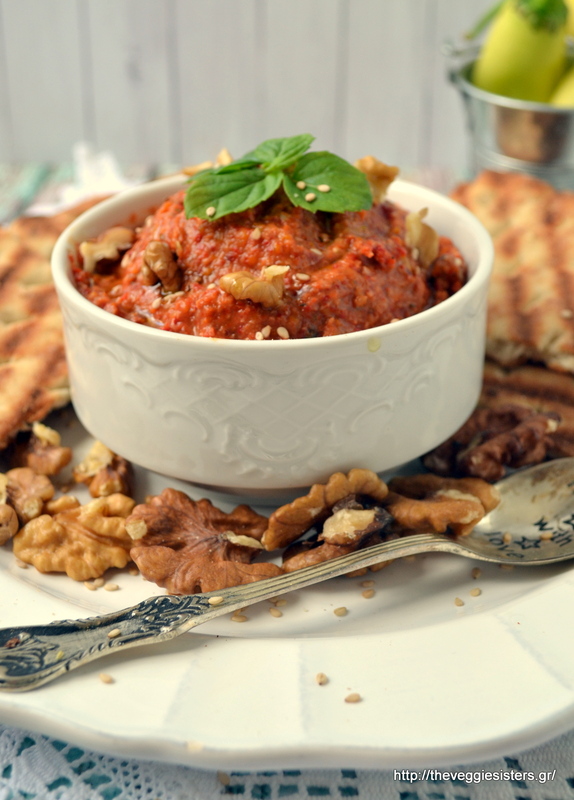 Share the post "Muhammara (Pepper walnut dip)"